Cute 1.5 story home in quiet East Ridge neighborhood. It is located on a level lot, not in flood zone, and is convenient to I 75. Home has lots of living space on the 1st level. Bedrooms and full bath upstairs. There is extra storage/work space off car port. Upgrades include metal roof and vinyl windows less than 8 yrs old, and replaced incoming PEX waterline. The room off kitchen has been transformed into walk in laundry room. There is also a shed in backyard for added storage. This property had 22 dump trucks of dirt added around the house to redirect rain water. 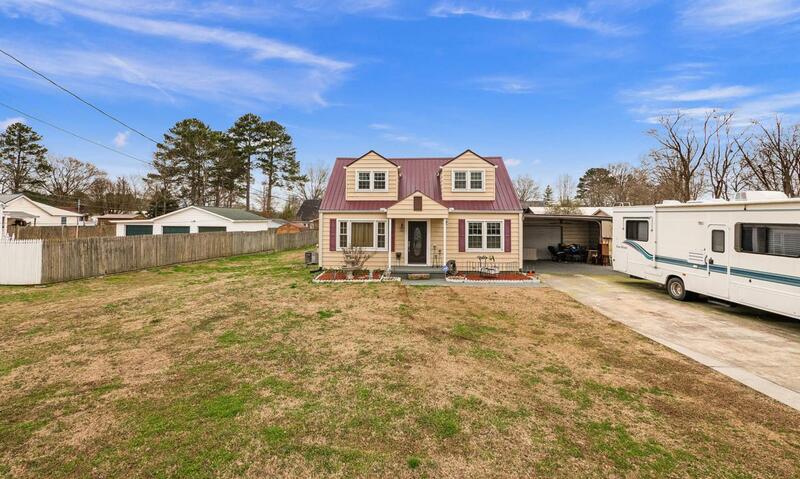 Great neighborhood feel surrounded by other single family homes on quiet cul-de-sac streets.